In the market different types of wallpapers are available such as vinyl, textile, grasscloth, hand screened, foil/metallic, flock, mural/photo, natural bamboo, embossed, paintable/anaglypta, woodchip, lining, liquid, cork etc. Also Read: 10+ Types of Wallpaper for your Interior! Here we explain Paintable Wallpaper or Anaglypta Wallpaper in detail. Paintable wallpaper or anaglypta wallpaper is a thick wall covering material with a raised pattern that can be covered with ordinary flat or gloss paint. Paintable wallpaper is the oldest types of wallpaper. Anaglypta is one of the oldest wallpaper brands started in 1887. The anaglypta brand is synonymous with paintable wallpaper. 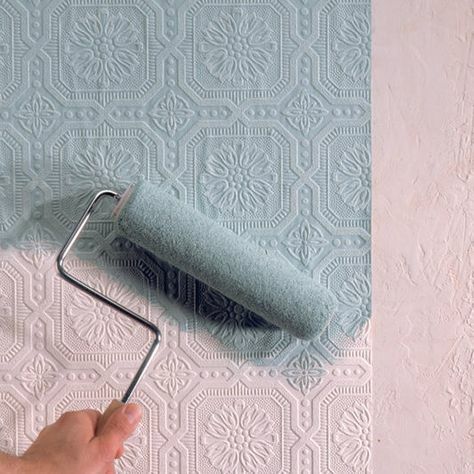 While selecting, don’t get confused, paintable wallpaper can give you both option means a textured surface that you can paint with any colour. Paintable wallpaper or anaglypta wallpaper is made with various materials such as paper, glass fibre, synthetic or textile fibres. Paintable wallpaper is available in unique textures and patterns. This wallpaper can be used in walls as well as the ceiling. It can be also used in bathroom, hallway, and living room. This wallpaper can be installed over damaged walls to hide the wall defect like cracks, scratches and wall roughness. The newest anaglypta wallpaper or paintable wallpaper is created from glass fibre, and these are fire resistant and environmental friendly. Also, the fibres add a certain amount of stability to damaged walls, holding together small cracks and prevent crumbling. This wallpaper is easy to install.Most of the paintable wallpaper comes pre-pasted. If it is not pre-pasted, you need to apply the wallpaper paste. There is no need to use special paint, you can use any type of paint for finishing paintable wallpaper. Remember: Graham and brown who arethe manufacturers of paintable wallpaper recommends 36 hour waiting period after installation for the dry adhesive as setting period for painting. If you start painting after this time period and yet wallpaper starts to bubble, then this is the sign that wallpaper adhesive is still wet. Graham and brown than recommends to wait for 12 more hours adhesive to dry before starting painting the wallpaper. Paintable wallpaper or anaglypta wallpaper is expensive when compared with to painting and most traditional wallpaper. 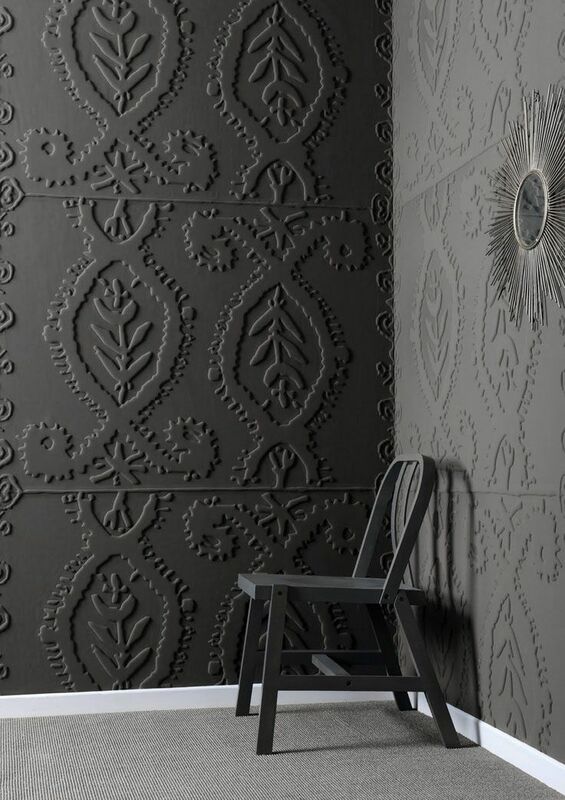 Paintable wallpaper or anaglypta wallpaper gives special decorative paint effect on the wall. Paintable wallpaper gives you the flexible design and paint options. Thus paintable or anaglypta wallpaper is a good option to decorate your wall. Previous PostPrevious Quick Setting Cement: For Underwater Concrete Structures! Next PostNext Benefits of Home Automation Systems!